I'm an avid reader and I believe in the power of books. I'll read just about anything, but I particularly enjoy books that take me to a new world, deep into the imagination of the author, and which allow me to explore other times and cultures. This book is so bad, I would discourage anyone from even starting the series. It's so bad, I wish I could recover the hours I've lost reading it. It's so terrible, that it completely annihilated any desire for me to ever read anything written by Veronica Roth ever again. Let's get down to it. Remember there are spoilers ahead! Before reading Allegiant, I'd read "The Hitchhiker's Guide to the Galaxy" and the point of that book is that it's downright ridiculous but in a smart manner. 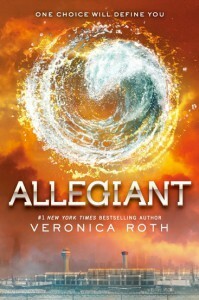 Allegiant is just plain ridiculous without having a reason to be. There are plot holes that are so big, they're black holes and they'll just drag anything remotely sane into them. I mean, the story itself, from Book 1 is farfetched. We're talking about a dystopian society where people are divided into 5 factions according to the personality trait that defines them. I mean, come on. It IS ridiculous, but you can put that aside and actually read the story because it's entertaining. In "Allegiant" you finally get an answer as to why society has been divided like it has and it turns that Chicago is an experiment where the "people outside" are trying to "correct" the genes from the population. If you're going "wtf" or "eh" right now, that's exactly how I felt. Bottomline: the people of Chicago have been an experiment for about 8 generations. No one has ventured "outside" the fence because... why hasn't anyone done it? At the end of Book 2 it's revealed that they were all put there and that's what gives Tris and the others motivation to leave, but why hasn't anyone even attempted to do so before? There was no indication that they've been told not to leave the city or... anything. It's just ridiculous. So then, these people are experiments. Right. The "Genetically Pure" people outside are trying to correct the genes God knows how, 'cause even after I was done with the book I was still wondering what the hell I was reading. I couldn't care less about Genetically Pure or Genetically Damaged or about the "Purity Wars" that apparently led people to create the experiments in the first place. There was a whole new twist to the story, but it was badly executed, and I didn't give a damn about any of it. I'm not even getting into the science of the whole thing. Genetically Pure? Genetically Damaged? REALLY? REALLY? Oh God. You mean mutations? What? WHAT? And if the plot is not enough to discourage you, let' move on to the characters. Beatrice (Tris): Pretty cool character. Survives Divergent and Insurgent only to get herself shot and killed in Allegiant. Yes, Tris dies. And it's not even a death that makes sense or does her justice. This was a good character, strong and developed and she got pathetically killed. I mean, even Hedwig in Harry Potter got more attention than Tris in her death scene. It's okay if you kill your main character, but at least make it epic. At least make me feel like she died for something. All I felt was anger. And I just got angrier as the book drew to an end. Four/Tobias: This character is a lesson on how to ruin a good male lead. Make him awesome in Insurgent and Divergent and then make him whiny and pathetic in Allegiant. Seriously, Tobias is the best exemplification of what would happened if men suffered from PMS. I HATED him. Legit, HATED him in Allegiant. I don't think I've disliked a character so much since Edward stepped into the sun in Twilight and sparkled (shine bright like a Diamond, Edward). Tobias went from +1000 in awesomeness to -100 'go to a corner and just disappear' (he could use one of those black-plot holes for that). There was nothing I liked about this book. I kept reading it just because I wanted to finish and write this review. I disliked the ending as it seemed rushed and I could not give a damn about the Epilogue and how they scattered Tris' ashes. She wasn't even honored for what she did. Her sacrifice was for nothing. There is nothing beautiful about this ending. It's insulting to the reader. I am pissed with this book and I will just forget that it exists. I think you should too. House of Hades - Done! I have finished one of my October books and I have to say the month is off to a very good start. "House of Hades" by Rick Riordan was delightful. Next up is the "Hitchhikers' Guide to the Galaxy". So many exciting books are to be released soon enough! I can barely wait! Keep in touch for reviews to come. 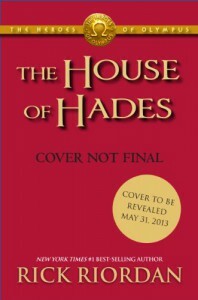 My next book is almost surely "House of Hades" by Rick Riordan. Its official release date is next Tuesday and I simply can't wait, though I inevitably have to. 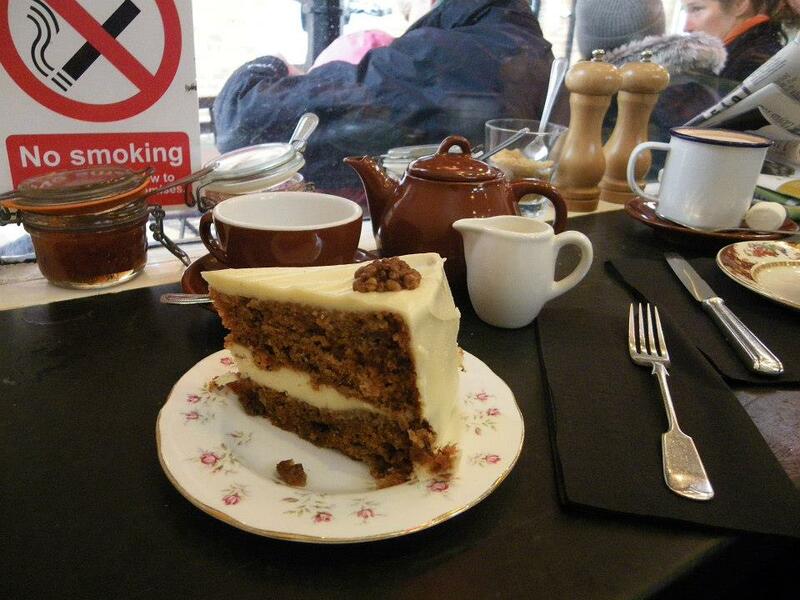 As a way to pass time, I entertain myself with thoughts of delicious Carrot Cake and Tea. Wouldn't that be wonderful? Of course, add a book to the mix and you'll get something very much like a dream. The book is rather entertaining and the plot holds much promise. It's a bit silly to take in, but once you accept that it's an implausible situation in real life, you start enjoying the book. Basically, he NEEDS to get married to get his money. She NEEDS a way to get out of her house. In a moment of rather severe lack of judgment (like really, he was drunk), Charles asks Ellie to marry him. After discovering that she's desperate enough, with her father's impending nuptials to a horrible woman, Eleanor accepts. 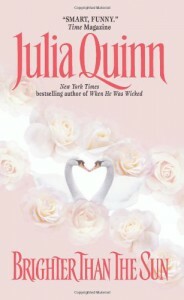 The banter between the couple is pretty witty and hilarious (Julia Quinn has some amazing talent with dialogue). Nonetheless, it eventually gets a bit tiring. There's an interesting conflict, which I think should have grown to be the main conflict of the book. That's why I was surprised when it was resolved rather too soon before the ending. This made me think "what else is she going to add?" Hence came my main problem. 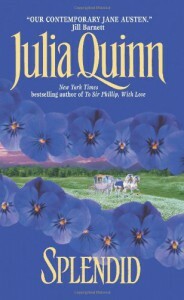 At around the ending, Quinn introduces another conflict, which was apparently there all along, but I just thought it was boring and too much. The book should have just been shorter, in any case. 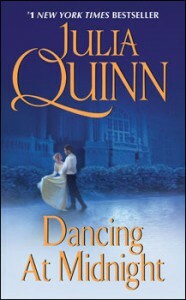 It's good, but I did find that it wasn't as enjoyable as other Quinn books. This was a lovely read! I really liked it! 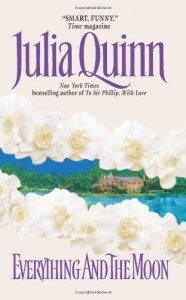 There were a few moments where I wanted to hang Victoria from a ceiling, but altogether it was a very good story, full of Quinn's quirky comments and humor. Plot: Two lovers who have plans to elope have their dreams shattered by parents that think they were acting for the benefit of their children. Seven years later, they meet up in explosive circumstances and how does the song go? But they're love is just too strong? Well, it's not. Their feelings are certainly sufficiently intense to have them fighting and bickering and it eventually finds a very happy ending. In that order, I loved the ending. It gave me a really good feel. It's an easy enough read, and you don't have to take it too seriously. 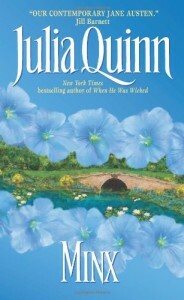 Open your mind and let yourself be drawn away by Quinn's magically funny writing style. First and foremost, I am very pleased to be using booklikes along with goodreads. I think the combination between both will be quite amazing. Goodreads is easy to use and so organized that it's probably one of my favorite social media interfaces. Booklikes, on the other hand, is a blog with all the book reviews included in an easy to read manner. That's why I'm delighted with how well both can work hand in hand. In any case, the wonderful sensations inspired by G&W are still in my memory and I would like to bring them forward every time I relate to one of the many books I read. It's nice to imagine myself still there, having some coffee, and enjoying one of their delicious cupcakes. Ergo, my booklikes page is a tribute to both, reading and G&W. Okay, the book was going along marvelously. Like, I swear, it was a really good, fun, and light read. I was going to squeal with delight during various moments. At about 77% it all starts going downhill. Worst? You see it coming and yet you cannot do anything about it. In particular, the main female lead ruins it. Like, single-handedly, she manages to become the most annoying, stupid, overbearing, and pathetic character. There is insecurity and then there is plain dumb! And she's plain dumb. And she was pretty nice and likeable... until the 77% of the book. I'd give it 3 stars but I REALLY liked it all the way until she ruins it all and then when everything gets better again, then I continued really liking it. Alas, external conflict can sometimes be bad, but when its internal character and the character manages to create this whole mess on her own and some make-believe scenario in her head... it's the worst. I would actually recommend you all, dear readers, that when you see the "conflict" rearing its ugly head, you skip that part of the book entirely. Boy oh boy. Corny, Boring, Predictable, and Uninteresting. I had A LOT of issues with this book. 1. Plot. It appeared somewhere at the end of the book (at about 70%) although it had been lurking its head around since the beginning. In any case, the plot felt quite recycled. The worst part is that it was VERY similar to the plot in book 1 of the Blydon series. It wasn't very original either. Also, it was quite predictable and a little boring. Just no. John: OMG. I want to slap this character silly. First and foremost, he needed to man up all through the book. Secondly, I felt he was totally two dimensional. There were few moments where I was "Whao, John way to go!". Most of the time it was like "Man, please stop whining, it's embarrassing." Belle: ~sigh~ She had great potential, but I just thought she was so annoying. Seriously. Also, she is the type of character that attracts all terrible things and you can't even consider it plausible. Additionally, she can be downright idiotic most of the time. "Don't go out, Belle!" What does she do? 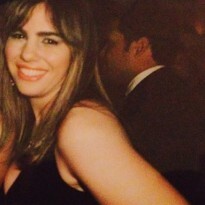 She goes out. Obviously. She's described as quite a logical character, but I didn't get to experience this. Like John, she had some good moments, but they were few. 3. The Chemistry. So boring. Too boring. Apparently, the third book in the series is the best. It has William Dumford as the main male lead. Nonetheless, I always thought he and Belle would have been much better. John was created as her love interest, but it was too forced. Also, I know that these books are fluff, but John and Belle were just unreal and ridiculous. I mean, they recited poetry to each other. POETRY. I wanted to gag and roll my eyes and then throw the book away. No. Just no. Conclusion. I read it because it was part of the Blydon series, and although these books can be considered stand-alones, I do like checking in to characters that appear in other works. Unfortunately, I hated Alex from Book 1 and he's just as annoying in this book (maybe a little less). Emma, as usual, was pretty nice. I wouldn't recommend it, personally. You tell me. Alright, here we go again, right? "Splendid" is quite a nice Regency Novel. It's definitely 'fluff' and very easy to read, and if you have a few hours and just want to be entertained, it will be a good book for the moment. 1. Characters. The Characters were alright. Emma was a great female lead and she brought a certain spark to the page. Alex, on the other hand, was "meh". He had moments where he shone, but through most of the book he was rather two-dimensional. Plus, he had this ridiculous reaction halfway through the book that had me rooting for another male lead (see my comments as I read the book). 2. Plot. It was virtually non-existent. You basically read about Emma and Alex's relationship, but there is no REAL tension. In fact, the best parts of the book are actually the ending (which is GREAT) and another part where Emma sets out on a wild scheme of hers. Again, I didn't even need Alex there because Emma was such a great character. He was domineering and, honestly, chauvinistic. All in all, it's not a bad read. 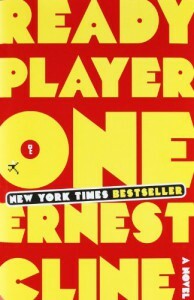 Ready Player One is the ultimate nerd-dystopian novel. If you like videogames or the 80s for that matter, this is DEFINITELY the book for you. There were various times through the story where I was extremely excited and motivated and very into the book. There were other times, however, where I was wondering when it was going to be over and done with (for Kindle readers, this happened in the 50%-60% part of the book). 1. Most of the story takes place inside the "OASIS" a 'second life' type of virtual reality. It's Matrix meets video games. This makes it an extremely attractive read. Imagine having the opportunity to immerse yourself in your favorite video games. I'd actually thought about this once for a project and I immediately liked the idea in the book. Fact is, the book is set in the future. We've basically trashed the planet, poverty has taken over, disease, etc. So what do people do? They log into OASIS. Very cool. 2. I liked the characters. I admit, sometimes I wanted to smack them, but that happens. I liked the fact that they grew so much through the book. 3. The whole plot revolves around a competition. This makes the adrenaline rush in your veins. In fact, the competition, infamously called "the Hunt" is pretty damn cool. There's a bit of everything in it. 4. I actually learned a LOT about the 80s and videogames. The book also gives you a horrid image of a future generation that evades its issues escaping to the OASIS. Wah-Waah, humanity. Sadly, you only need step outside to see that we're already on our way there. 5. The ending. The last part of the book (75%-90%) is so GODDAMN entertaining and SO MUCH fun to read. The last part of the race is ENTHRALLING. At least... it was for me. Especially with a lot of key things revealed. I'd definitely recommend this book onward. 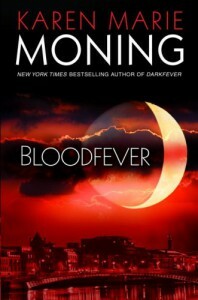 And just like that I'm done with the Darkfever series! 2.Mac and Jericho are wonderful lead characters. There ARE some two or three times where you want to pummel Mac, but other than that, she's pretty cool. They are SUCH a good team and I think they kept pushing the story onward. 3. Yes, finally, 5 books later you know who Jericho Barrons is and what are his motivations. This said, it takes time and there are still things that are left unsaid, but what IS said is more than enough. I don't need more details about him. He's an extraordinary character. 4. The truth behind the main plot points of the story... WILL shock you. 5. Important to know that some things are left... hanging... in a way... Karen Marie Moning has continued the series through another of the characters in the book. Nonetheless, Mac's story (at least her main story) ends here. In general, as you would learn if you read this book, which I invite you to do, actions speak louder than words. Action? I read this 600 page book within a 48 hour timeframe. I promise I'll write a review later. Right now... Must continue with book 5. Please give me a minute while I retrieve my jaw from the floor. This has GOT to be one of THE most shocking endings I've ever read and one of the biggest cliffhangers I've ever encountered. This book is beyond words. I mean, imagine things going bad... then worse... and worse... and so on and so forth until you reach the last page, and then you turn it over and read the "Author's Note" which basically tells you that: although it may seem like there's no hope, eventually there will be. Yep. That's it my friends, you know things are screwed up when the author herself is saying so. And yet, it's just perfect. In its horrific, dark, fantastical way, this book has it all. I'm holding my breath, my head is spinning and it feels light. I'm lost, I have no idea where this book is going. To me that's precious. I'm the type that likes spoilers and I'm pretty good at predicting, but this? I never saw this coming. And in a sinister and macabre way, it had to come in order for something cataclysmic to happen. I know, reader, you have no idea what I'm talking about, but pick up the book and you will. The fact is: I'm lost in this Dark Fever world, as lost as Mac, as caught up in it all and enchanted as she is. Obey this world? I'd die for it. With those last lines, I'm off to buy the 4th and 5th Volume! Ta-da! This review is going to be significantly shorter than the one for volume 1. In short: it's an awesome book! Probably a little bit slower than the first, but just as good! Once again I have to highlight just how much I like the main characters. Vastly entertaining and definitely one fantastic read! 2. You finally get around to reading it and buy it. 4. You find yourself wanting to buy the whole series the moment you're done with Book 1. 5. You ask yourself why had you not read this before and you realize your life will never be the same. Darkfever is like nutella: delicious and enthralling and you can't wait to have more. It has all the elements that make a book worth devouring. There's action and romance, reality and fantasy, good and evil. The writing is good, the plot is mesmerizing, and the characters are phenomenal. One of the things I liked best was just how unpredictable the book it is. I'm usually pretty good at predicting a plot, but this book surprised me and, even better, still has me curious. Better YET, the characters are beautifully constructed: flawed yet enticing. Seriously. I didn't get bored reading it. I LOVE the element of fantasy. I loved it even more because it's a dark fantasy, thriller. I enjoyed it too much and I can't wait to get my hands on the second volume. I'm in love. I can't choose what I loved best among the Unseelie and Seelie Fae Court, a mysterious murder, and a sister that has lost all except the desire for justice. Also, I'm a sucker for zero to hero characters, and well, let's face it, the female lead, Mac, is a Barbie thrown into pure chaos. Also, as if everything else weren't enough to have me gaga over Darkfever, the book has some pretty amazing Harry Potter references. Thus, I have no option but to give it five stars. In fact, I'd give it six if I could. In fact, give me a V'lane any day and I'll probably hack into goodreads and give it a ten star review. In other words, this series has just become my new obsession.